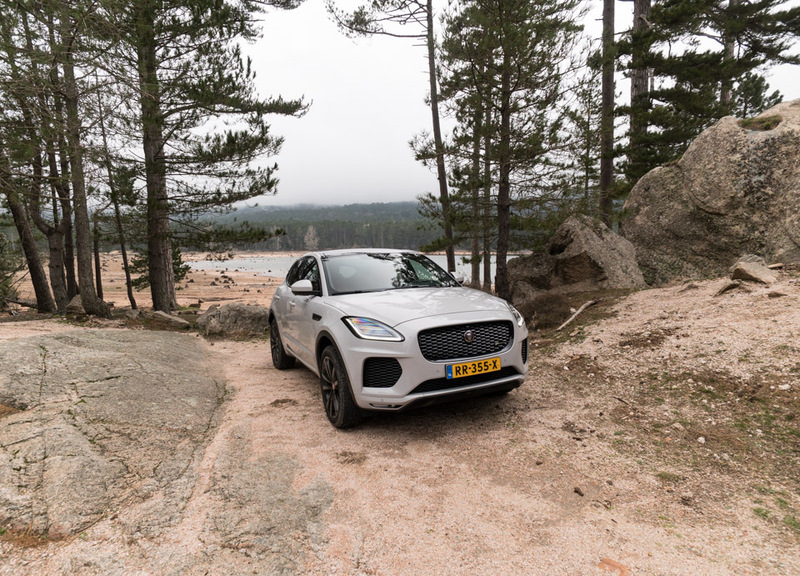 We headed to the French island of Corsica to spend some quality time behind the wheel of Jaguar’s beautiful baby crossover. In R-Dynamic trim, it packs a zippy 296hp turbo 4, and its active driveline offers fantastic control and handling. Plus it seats five, and looks spiffy. 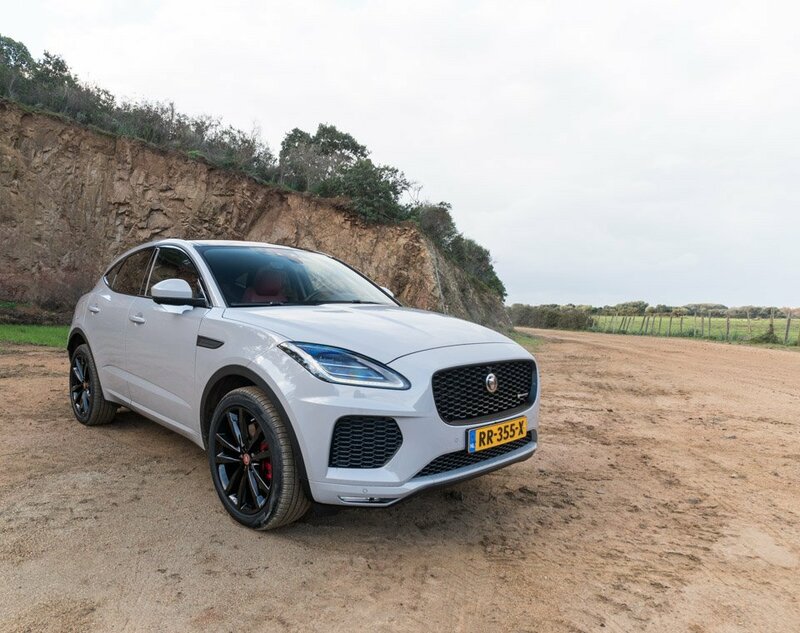 Jaguar's pint-sized crossover offered the perfect mode of transport around the island, whether on the on dirt, rough gravel, or the occasional paved road. 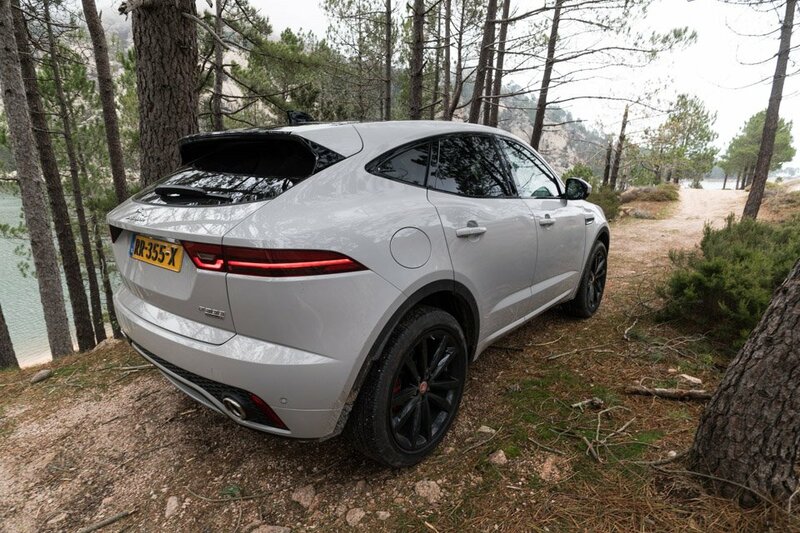 The E-PACE may offer seating for five, but its design is very clearly inspired by a two-seater - the Jaguar F-TYPE Coupe. Just look at those J-blade LED headlamps and aerodynamic grille. 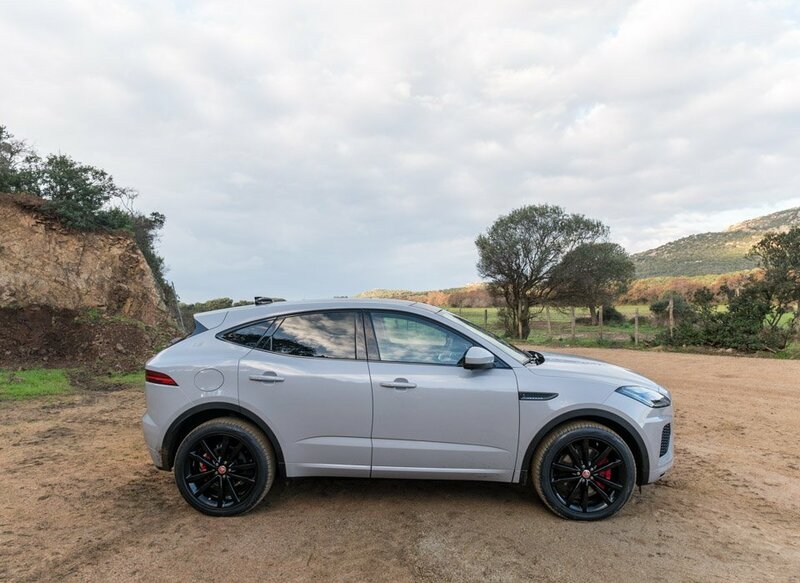 While it's got muscular looks from the front, the E-PACE is pretty darned adorable when viewed in profile. But you're immediately reminded of its performance chops by the sporty wheels in sizes all the way up to 21". 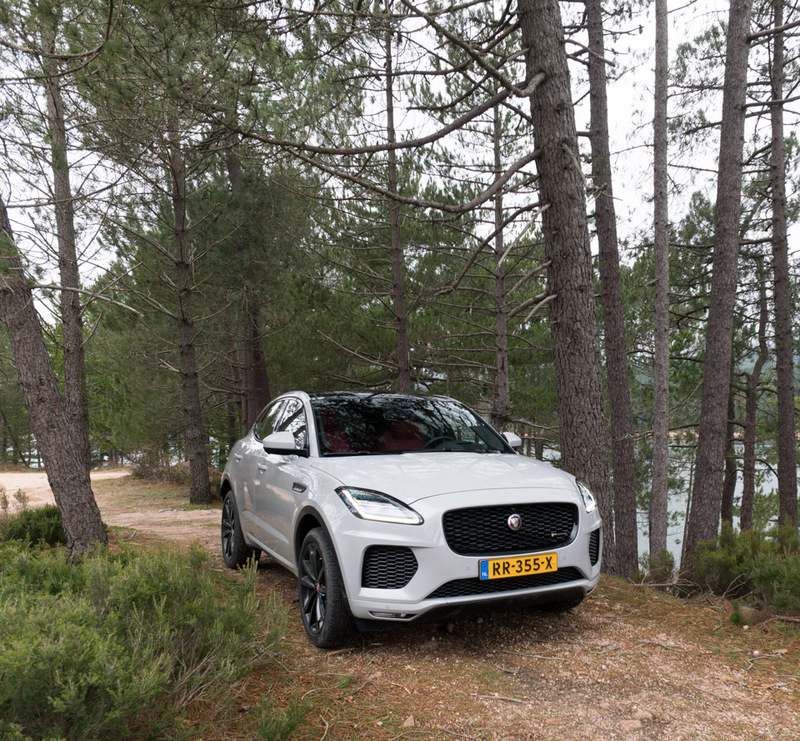 The eager E-PACE may look sporty, but its surprisingly adept off-road too. Every E-PACE sold in the US has an all-wheel drivetrain to improve traction and handling on a variety of terrain and driving conditions. We enjoyed our time equally as well on or off the tarmac. 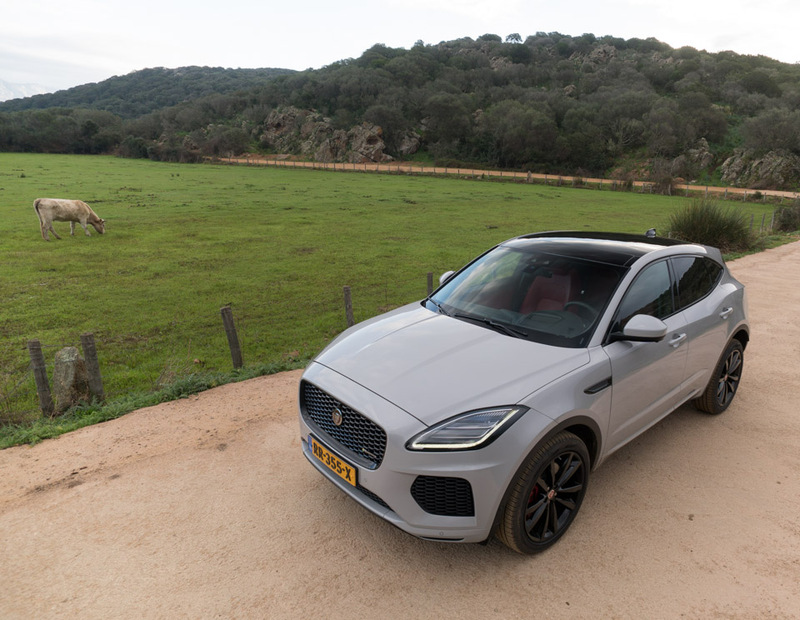 From this angle, the E-PACE is like a little jackrabbit, reared up and ready to pounce. With a 0-to-60 time of 5.9 seconds, and a top speed of 151 mph, the R-Dynamic version has the power and speed to match that image. 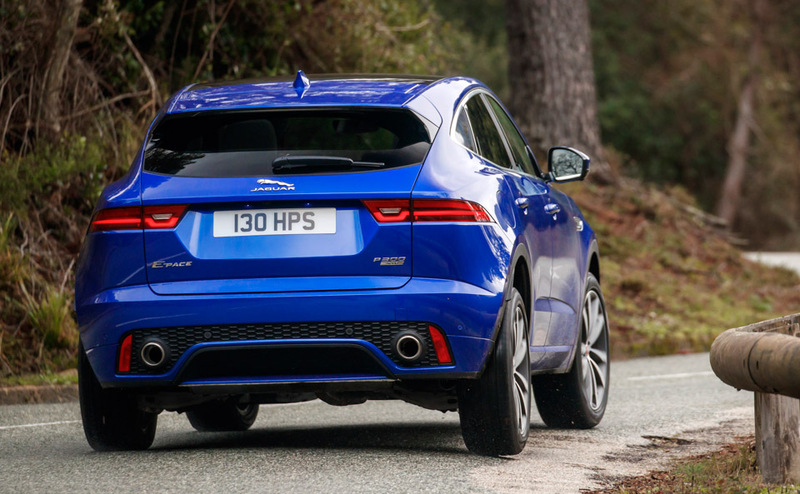 While we spent most of our time behind the wheel of the neutrally-hued Borasco Grey E-PACE, we're betting Jaguar will sell a ton of these in this "look at me" Caesium Blue. 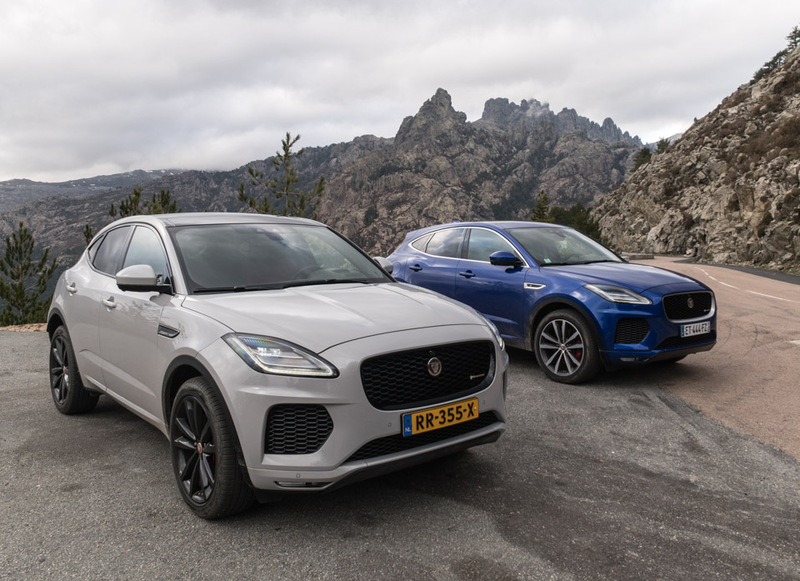 Regardless of color, each E-PACE offers agile, sporty handling, and the R-Dynamic's active driveline means it can instantly send as much power as needed to either the front or rear wheels for traction, or powersliding fun. See that little dip in the horizontal line on the taillamps? It's called the "chicane line," inspired by the little kinks in a racetrack that go by the same name. 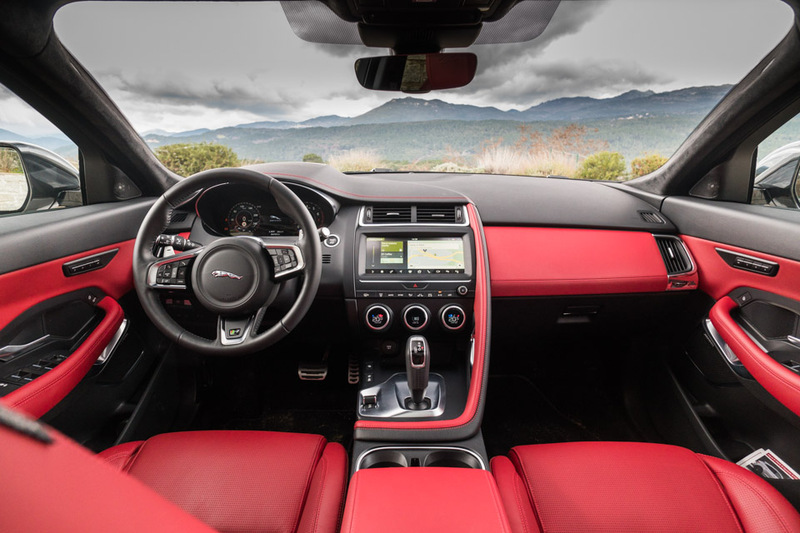 In the front seat, it's all about the driver, with a boldly sculpted, leather-wrapped dashboard, available digital instrument cluster, and a sport steering wheel with aluminum paddle shifters. We see red, we see red, we see red. 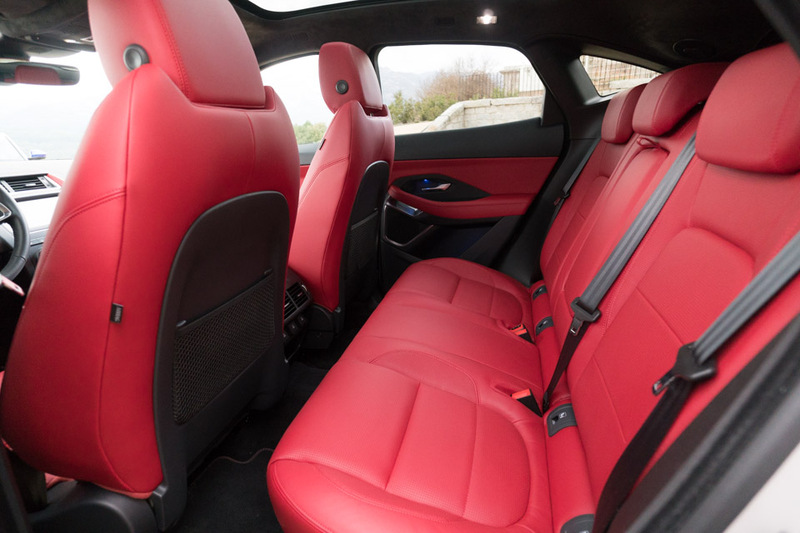 While you could go for a more subtle interior color choice, this brilliant red leather interior looks amazing, accompanied by dual-line stitching, and a grey alcantara headliner. 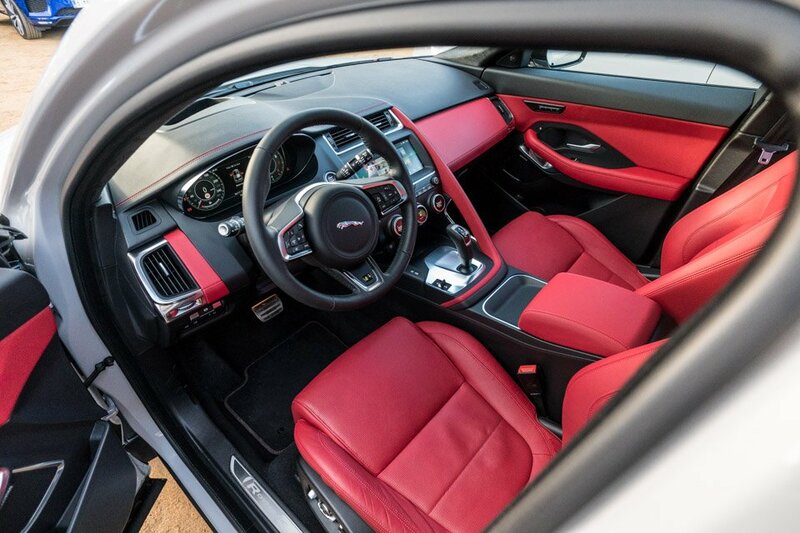 Lest you think Jaguar forgot the E-PACE is a utility vehicle, there's plentiful storage in the center console, a large, lockable glovebox, and huge door pockets. Plus, five strategically-placed USB ports ensure everyone can keep their gadgets charged up. 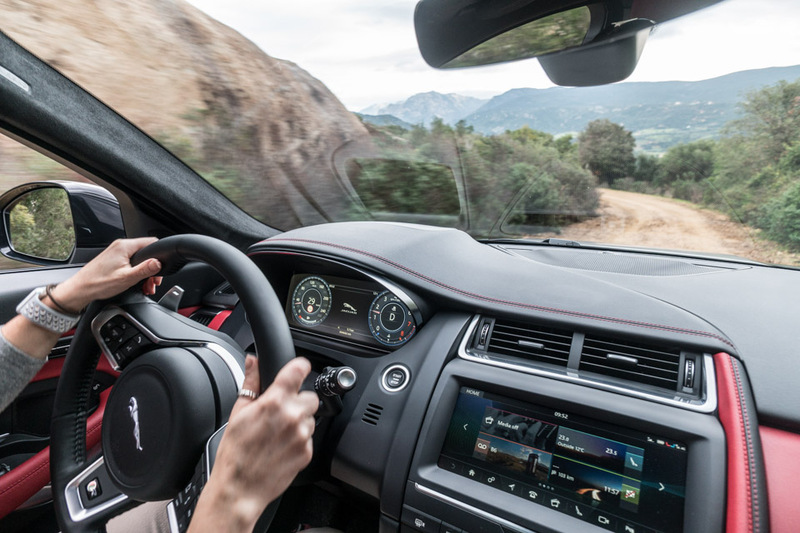 And there's no lack of light streaming into the luxuriously sporty cabin thanks to the big panoramic glass roof above. 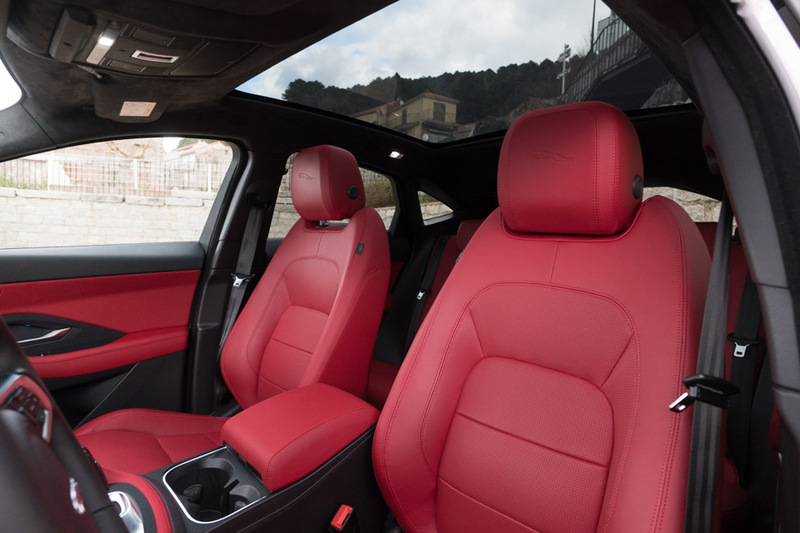 Unlike the two-seater that inspired it, the E-PACE seats five, and offers a 60/40 split folding rear seat for flexibility. With those seats folded, you get up to 52.7 cubic feet of cargo space, along with a flexibile tie-down system for versatiliy. Seats up? 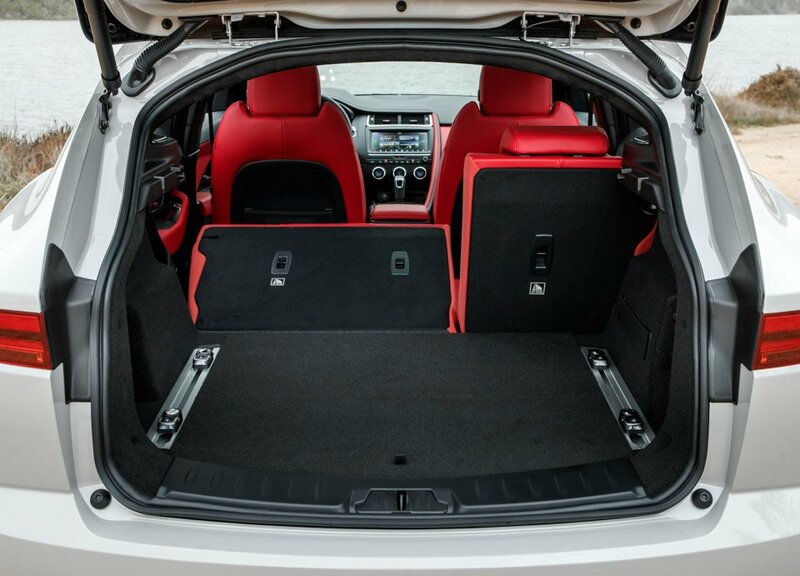 You still get 24.2 cubic feet, more than the trunk space in just about any sedan. 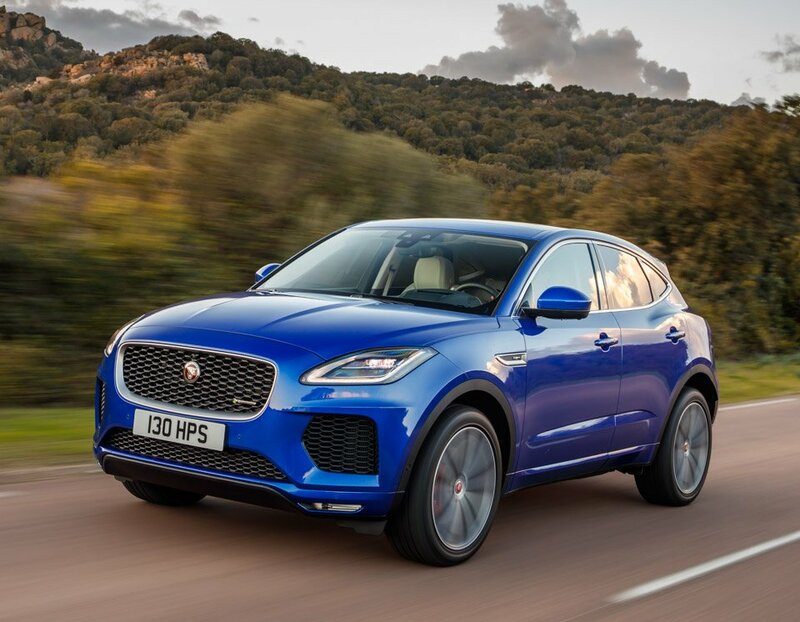 The Jaguar E-PACE is available from US dealers now, with prices starting at $38,600 for the 246 hp model, and $47,250 for the 296 hp models. Be sure to check out our full review on 95octane.